How can i book a private charter with you? 2. Inform us about your preferred date or dates and your resort name, your contacts. 7. Be ready for your transfer to the yacht at the entrance to your hotel on the set date and time. How is down-payment for booking confirmation made? You can make down payment in US dollars using Pay Pal, Credit Card, bank wire transfer or in cash not later than 3 days before your Charter. 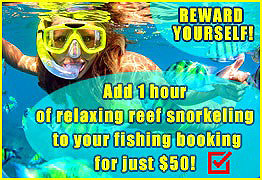 Down Payment $100 US for half-day trip and $200 US for a full day trip. 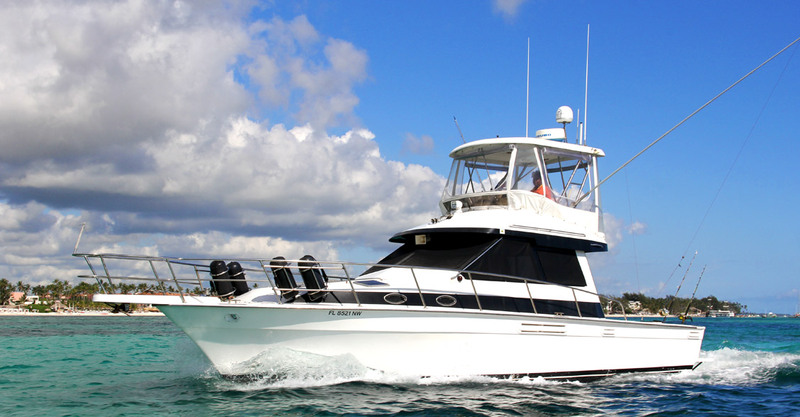 You will need to pay remaining sum on the date of your Charter before boarding the yacht in cash. If you wish to pay complete charter cost in advance to avoid carrying cash, you can do it by bank wire transfer. What happens to my down payment in case of cancellation? – if you cancel 7 days or earlier before the start of Charter – we will return 90% of your down payment to your Pay Pal or bank accounts. 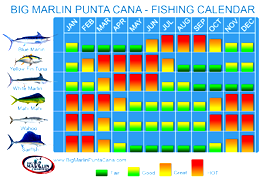 – if you cancel 24 hours (1 day) or less before the start of Charter – you down payment will be kept by Big Marlin Charters Company as a compensation. 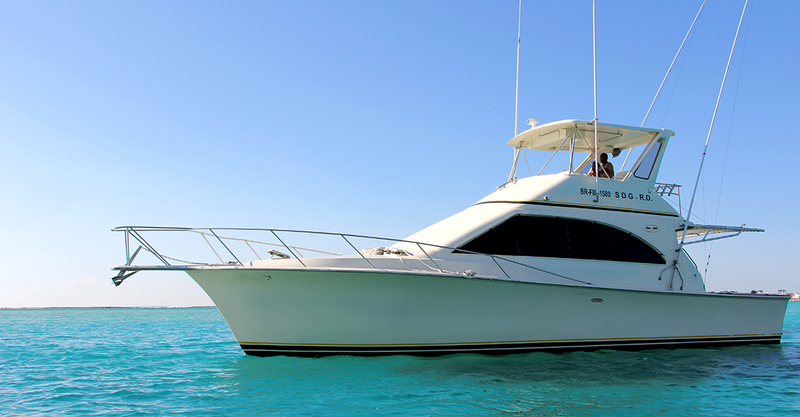 Remaining sum for your Charter should be paid right before boarding the yacht on the date of your trip. Also, you can pay complete Charter cost to our bank account as a wire transfer not later than 2 days before the trip. We are located in the very center of Punta Cana, Bavaro on the beach Bibijagua. You will be taken to boarding place by our private transfer van. We will meet you by the reception in your resort on the set date and time. Children under 5 years old are not allowed to join for fishing trips. 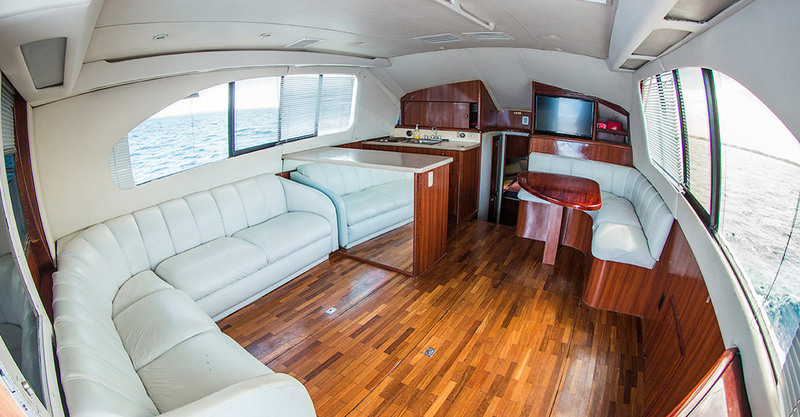 Yes, for any kind of Charter we will serve you with Rum, Beer, Cola, Sprite and Bottled Water. For Fishing Charters we offer open bar and sandwiches. For Party Boat 3 hours – open bar and various fruit. Party Boat 5 hours – open bar, fruit and sandwiches. Party Boat 7 hours – open bar, fresh fruit, fresh vegetables and delicious lunch from our on board grill chicken and potatoes. Yes. You are welcome to bring your own drinks and food. Except for the foods that have to be cooked, we grill only our own prepared chicken. What if we are late for the transfer? Our company representative will be waiting for you up to 30 minutes. Of course we will make all possible to reach you: call your room from the reception, message you or call you. But in case of “no show” within 30 minutes the van will leave without you. The Charter will be considered cancelled. 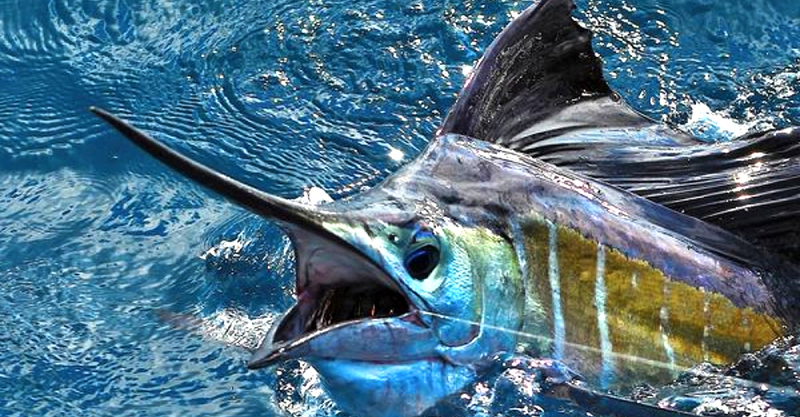 The down payment will be kept by Big Marlin Charters Company as a compensation. 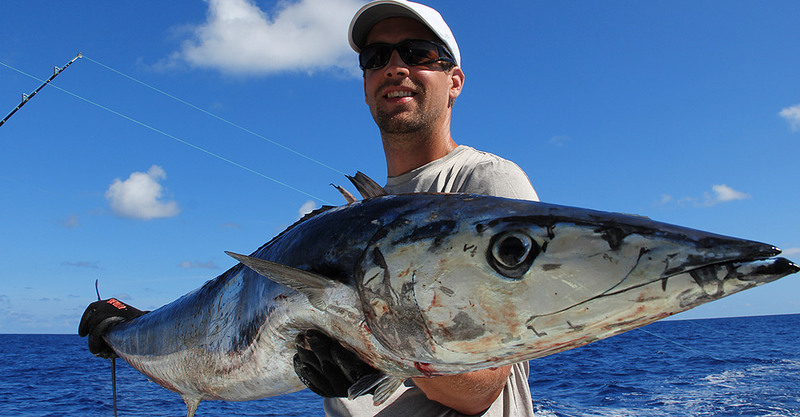 What can I do with my “Catch” – Fishing Charters? The catch is yours, you are welcome to do whatever you like: you can do “catch and release”, you can take your fish to the local restaurant to have them cook it, or you can leave your catch on board. Do you pick up from the cruise ship ports? We will be there Nov 5 and thinking of doing a fishing trip. Sure. The nearest cruise ship port in La Romana. It’s about 1,5 hrs from Punta Cana. Transfer two ways close $120US.